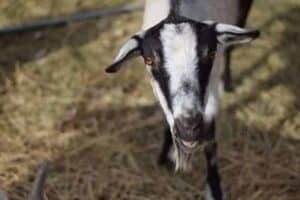 When choosing the best goat for the needs of your homestead or small farm, there are really a lot of different factors to consider. And the same goes for choosing the best goats for brush clearing and land clean up. 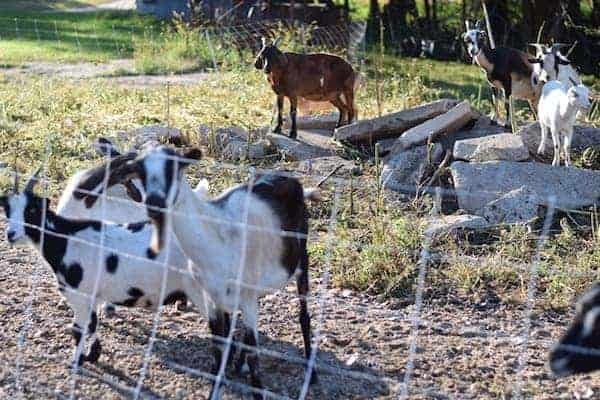 When we first started our homestead with raising goats, we didn’t anticipate using them for brush and land clean up. But I quickly realized what a valuable resource they are and how much they love to do this naturally. It saves us a lot of time and money. Initially we started with a small herd to clear up small areas around the house. We grew a little over the years and experimented with a variety of breeds to narrow our top choices down. And now they clear large areas around area ranches. I have my favorite goat breeds to raise as pets. Some of those breeds do a decent job of cleaning up brush. But there are 3 specific breeds that we’ve raised that are the most efficient and top choice for grazing land. 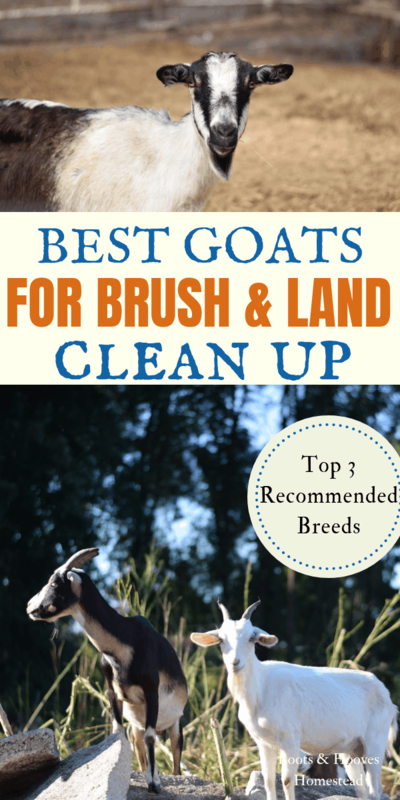 Plus, all three of these brush clearing goat breeds are friendly and docile. We really like to use a mixture of these breeds to be the most efficient when we send them off to clean up an area of the ranch. Basically, adding in large, medium, and small breeds of goats really makes the best options for brush clearing. 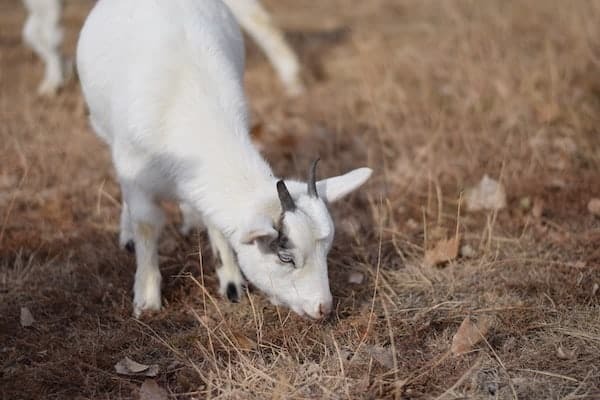 The alpine goat breed is a definite favorite for our homestead. They make a great option for clearing brush because they’re able to reach higher parts of branches. Alpines have great personalities and make really good herd leaders. This is helpful with getting other goats motivated and moving the groups of goats around grazing cells. 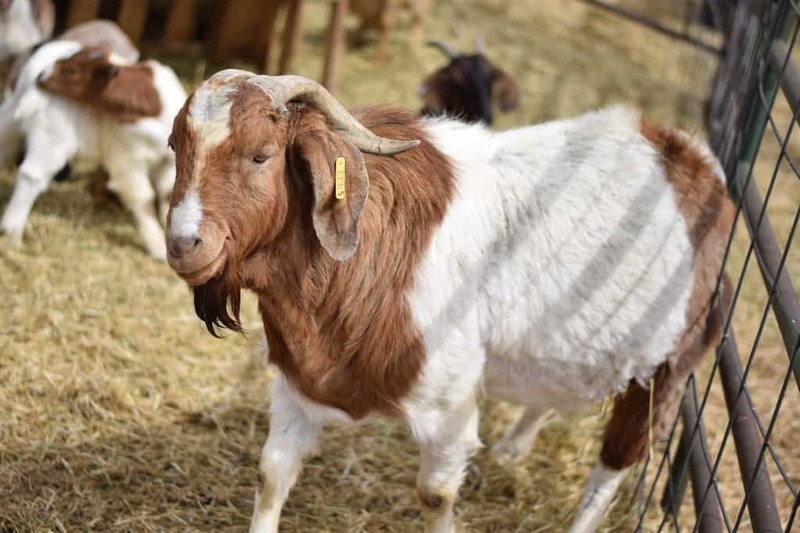 Boer goats are usually raised for their meat and make a great investment to a homestead. 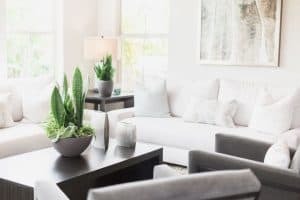 When it comes to our homestead, we try to source as many income sources as possible. And raising meat goats is a good option for additional income. This breed of goats are very hardy and makes a great grazing option because they will clear land a little faster than some other breeds. 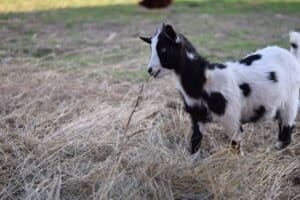 My first choice for using pygmy goats around our homestead is to raise them as pets. But pygmies are also a great choice to use for clearing brush. Since they are a small breed, they can easily reach the lower areas of brush that the larger breeds wouldn’t usually prefer to go after. We use both male and female goats for clearing brush. 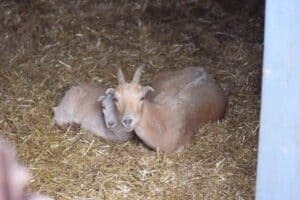 However, most often wethers or a castrated male goat is the best option. This is preferred for some types of brush because the taller and thicker brush can be damaging to the udders. While raising goats for land clean up, it is best to start them in grazing cells once they reach maturity. For grazing cells, we use this electric fence. A trick to training the goats to the electric fence is ensure that it is kept hot enough. It is also important to follow the manufacturers instructions and use the proper heat sources to avoid a hazardous situation.